Why do I keep changing jobs? 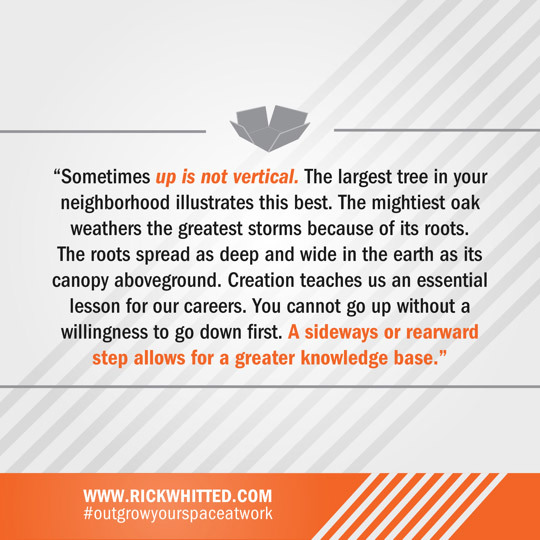 | Rick Whitted | Your Personal and Career Mentor. Why do I keep changing jobs? Recently, I had an opportunity to catch-up with a good friend over lunch when one of us raised the question, why did we ever leave working at the college? Suddenly, the noisy restaurant faded into the background, as the horror of what we both did hit us at the same time: We left our college teaching positions!!!! We were horrified that we left jobs that actually were the best place for us. Then, it dawned on me. Every time I leave a job, the forward momentum of my career stops. I lose my place in the continuum of the moment and cost myself, big time. So, I ask myself, why do I keep changing jobs!!?? Why do you? I was never the kid clamoring for a job during high school years. Except for a brief stint as a cashier at McDonald’s, my focus (and my parents!) has always been on the excellence of education. My children’s entry into kindergarten found me wanting to follow. I loved being a teacher and quickly grasped the fulfillment and the power of being an educator. What I didn’t know but accept now, is that I found my life’s work: I am a teacher. I started teaching and my journey continues to unwind with missed career opportunities, personality misfires, and the growing uncertainty that I am not going in the direction I want to go. I don’t have a clue where my career is going and I don’t feel as if I’m in control of it. What’s the plan for my career? Am I doing what I love or am I working a job? Do I have a plan for my career? That was in 2001. Today, I stand back and look over my 15-year career in education. Being employed as an educator at 5 different schools, 4 districts, and two states, I’ve traveled from private to public, elementary to high school, to middle school, and a year as an adjunct at community college. On paper, my average time at any school was 3 years. But that statistic is misleading. 66% of my educational career was spent at two schools where I grew fat and deep, tall and lean in understanding the concept of “highly effective” teaching. Promoted to Literacy coach, I was given additional administrative duties including presenting school data at district meetings. I was known for my thoroughness and acuity, and I was given respect throughout the district as I represented my school on literacy and curriculum issues. I thought my career was looking up…until it stalled. What happened? I left and went to another school. Relocating and starting anew represents 33% of my vocational journey. With each new beginning, new contacts had to be connected, new alliances had to be forged; and instead of developing wider and deeper understanding of the job, the new place of employment required leaps of discovery. This forces a break in upward movement. Why! Because understanding who you are employed by and where you are employed (the culture of that employment) doesn’t come overnight. These relationships take time. Sometimes, changing employers for what is considered a higher job (or higher pay) may not be career progression at all; but a career set-up for failure. Much like the Trojan horse of Greek mythology: Watch out! The horse is hollow! Am I changing jobs for a good reason? Have I thought about the pros and cons to employment movement? 4 out of 5 my relocations have been –not for opportunities to improve, but wait for it– failed relationships within that job. Persecutions, unwillingness to build bridges between colleagues, fear of being passed over, and unsupportive staff have caused knee-jerk reactions. I have relocated without thinking about what I am leaving or what I was going to. I hadn’t considered how I would recoup the loss advantages of positive, sustained job relationships, acquired expertise, and upward movement in one area of discipline. How do I get compensated for these intangibles? The National Center for Educational Statistics report in 2011-2012, over 76% of public school teachers are women with 56% being over the age of 40 and having a master’s or higher degree. My stats, exactly! The significance of these finding indicate highly educated women dominate the field of education and are staying at the same school or district. So, why am I leaving? Am I leaving when I should be staying? Career jumping-from one job to the next, without thinking or planning, without weighing the pros and the cons- can result in more than loss revenue. It may mean starting at the bottom again, or worst, living at the bottom. Stephen Covey writes in his book, The 7 Habits of Highly Effective People, “…begin with the end in mind.” Wow! See what you want to be in the beginning and create a plan to achieve it. 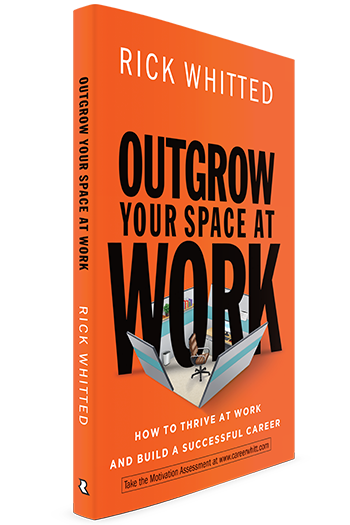 As you work your plan, then you can, discover how to “…outgrow your space at work” (Rick Whitted, Outgrow Your Space At Work, 2015). Do I have a valid reason for wanting to change my job? Will the job change be advantageous to my overall career goals? Will my forward momentum be impacted? Is it worth it? Success doesn’t just happen; it comes from hard work. Look at your career and begin with the end in mind. What are you trying to accomplish in your life. Make a plan. Write it out. Work it out. Talk to others. Rework your plan. Follow your plan. Because in the end, a person without a plan is like a leaf on the waters: floating wherever the current leads—usually downhill.